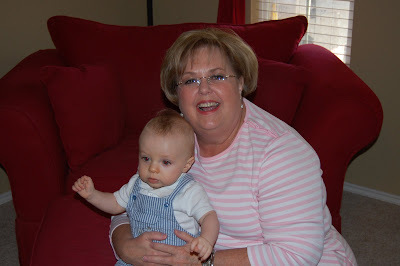 This past weekend Milo go to meet his great Aunt Jill and 2nd cousin Emilee and got to see his great grandmother and Ganmaw again! 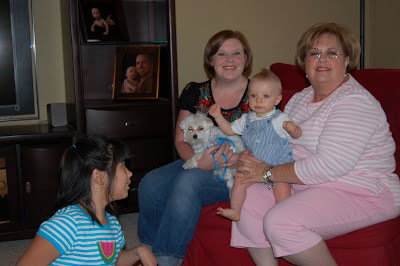 We had such a good time visiting with them that I forgot to take any pictures. Luckily Aunt Jill sent me some to share. 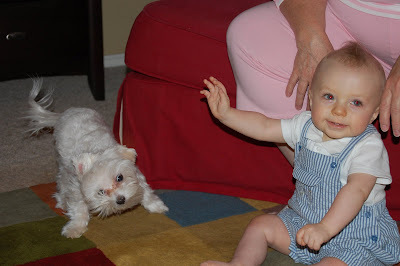 Milo was fascinated by Ellabelle, caught here mid-shake. 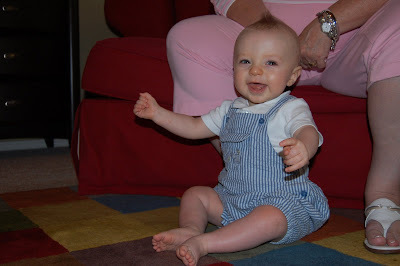 What a happy baby boy with his little Mohawk!